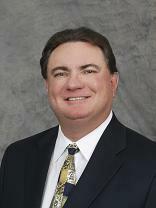 Mr. Jamison is one of the six founding shareholders of Harris, Karstaedt, Jamison & Powers, P.C. He brought with him years of experience and the vision to create a law firm that is responsive to each individual client’s litigation and economic goals. Currently his practice concentrates on the following areas: insurance defense matters (including professional liability cases), bad faith, wrongful death, general liability, and the defense of large self-insured clients. From 1979-1981, Mr. Jamison was a law clerk to The Honorable Gaspar F. Perricone in Colorado’s 1st Judicial District. From 1981-1987, Mr. Jamison represented Colorado’s largest hospital system in their malpractice and general liability matters. From 1987-1994, Mr. Jamison was employed by a large insurance defense firm where he focused on representing insurers and their insureds in professional liability matters. While at that firm he and Mr. Powers co-founded the fraud and suspicious claims unit. Since 1994, Mr. Jamison has represented several insurers and their insureds in general liability matters. He also represents Federal Express, Lancer Insurance Company and Knight Transportation in their trucking matters. Mr. Jamison is a member of the Trial Attorneys of America, a group of attorneys that regularly represent product manufacturers. Mr. Jamison has represented attorneys, neurosurgeons, psychologists, psychiatrists and appraisers in professional liability matters. 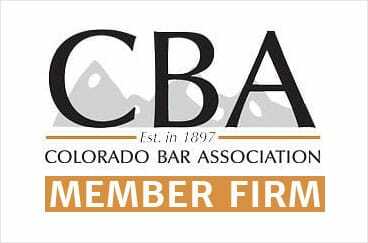 Additionally, for several years, Mr. Jamison represented the largest hospital chain in the State of Colorado in their malpractice and general liability claims. Mr. Jamison has defended close to 1,000 premises liability claims, which include slip and falls, trip and falls, ski accidents, falling merchandise, false arrest and false imprisonment claims. Mr. Jamison has also defended premises claims involving accidents occurring in oil fields. Mr. Jamison routinely represents Federal Express Corporation in their trucking matters. He receives assignments from Lancer Insurance Company and Maxum Insurance Company with respect to trucking matters. Additionally, Mr. Jamison receives assignments directly from several private trucking firms. Mr. Jamison routinely defends bad faith claims brought directly against insurers in first party cases as well as in the UM/UIM context. Mr. Jamison has defended manufacturers of products which include hooks, chains, bailers, electric blankets, electric heaters, shoes, ATM machines and trucks. Mr. Jamison has defended numerous cases involving fires which have allegedly included oil and gas separators, spilled accelerants near vehicles, electrical fires, cables and lashing wire which allegedly can spark and cause fires. Mr. Jamison has tried five cases to verdict which involved claims against general contractors, subcontractors, excavators and material suppliers. The firm regularly defends architects, engineers, plumbers, excavators, electricians, drywallers, roofers, gutter installers, developers, brokers, design professionals, general contractors, subcontractors, remodel contractors and material suppliers in a broad array of claims asserted in both multi-party and homeowner litigation. Mr. Jamison has defended approximately 20 establishments involving dram shop cases which have led to serious bodily injury and wrongful death.